Rocksuresoundz.com has gone through some upgrades in the last few days. 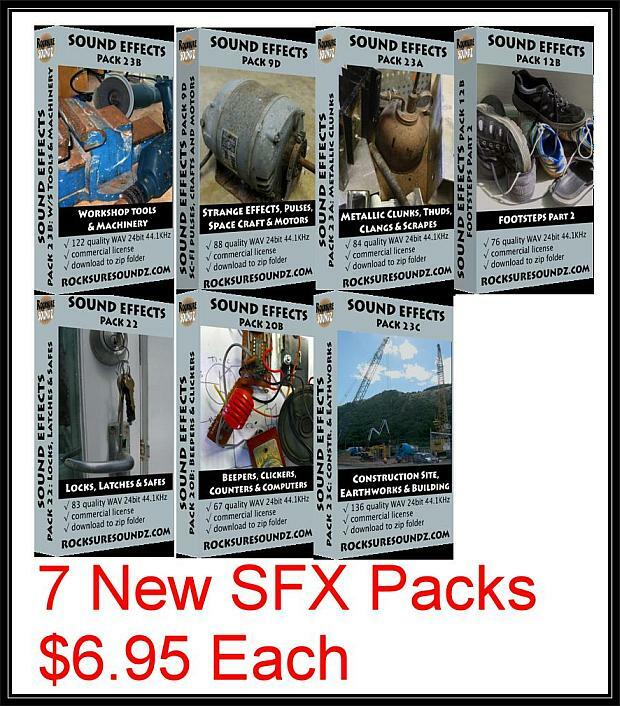 This includes adding seven new sound effects packs ( as listed below), along with 24 new royalty-free music tracks. Other improvements we have undertaken includes the adding meta data to all the sfx wav files, and we have also made the website mobile compatible.